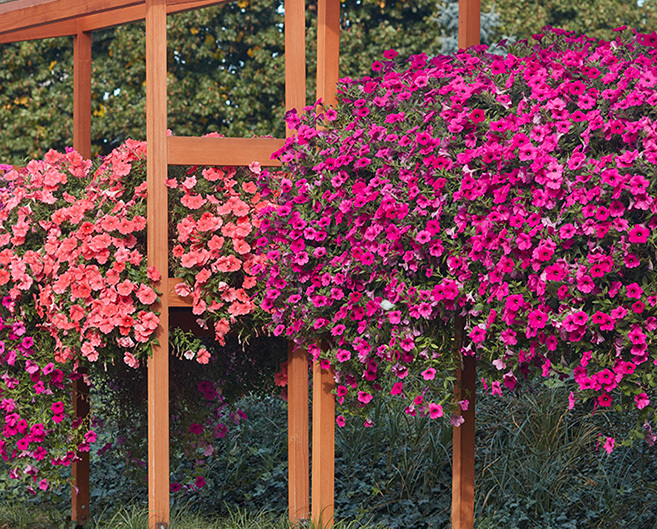 The “Velvet F1” series of varieties intended especially for planting in containers such as flower boxes, hanging baskets or raised containers to emphasise their overhanging character. 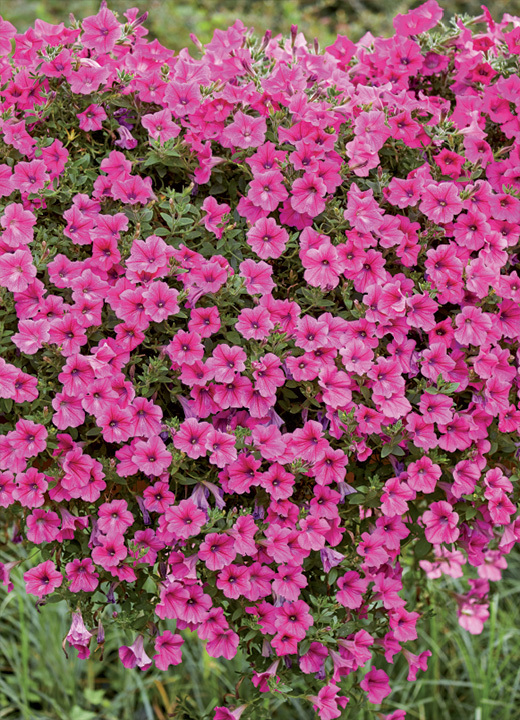 They create a massive cascade and bloom during the whole season. 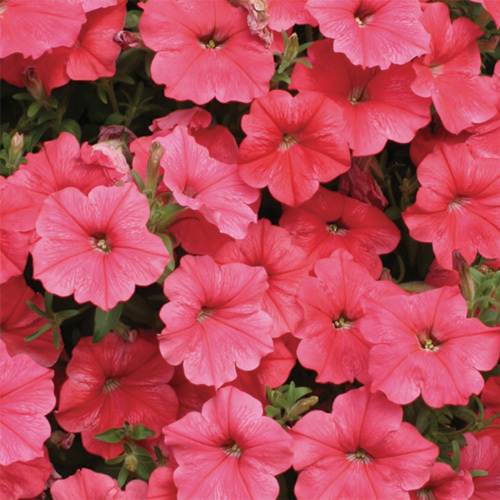 If cultivated correctly, they bloom on the whole surface of the plant. 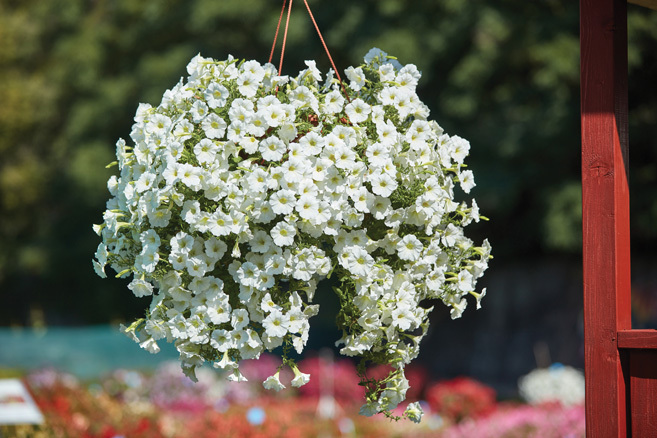 Thanks to the length of their overhanging shoots reaching 80–100 cm, the varieties of the “Velvet F1” group can compete with varieties grown from cuttings. 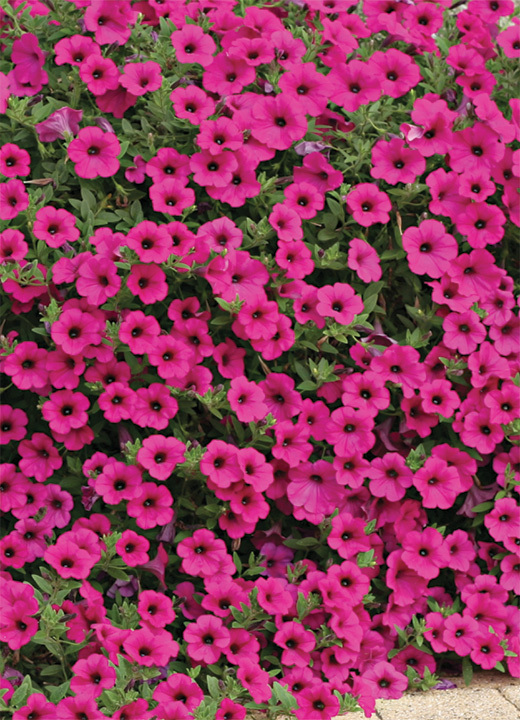 All “The Velvet F1” varieties can also be planted in flower beds where they grow together over a short period of time and create a flower carpet about 25 cm high. 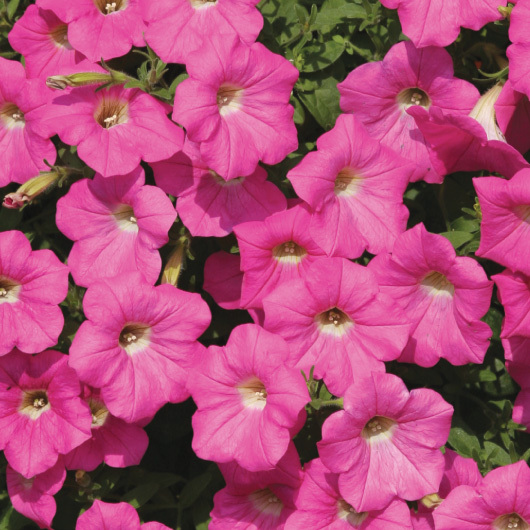 Excellent health, exuberant growth, blossoms of medium size and high seed germination are the great advantages of these varieties. 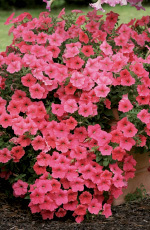 Prices of seeds delivered are also attractive. 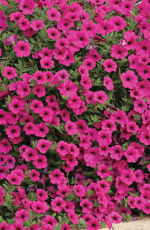 The method of cultivation does not differ from other petunia groups. Plants have a creeping character from the very beginning. Proper nutrition has a positive influence on the length of the spreading cascade. 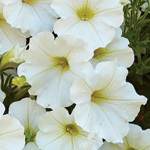 Pure white blossoms 5.5-6 cm in size. 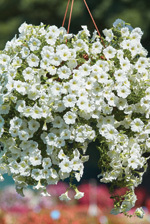 Low plants which branch very well and offer a copious stalk of blossoms. 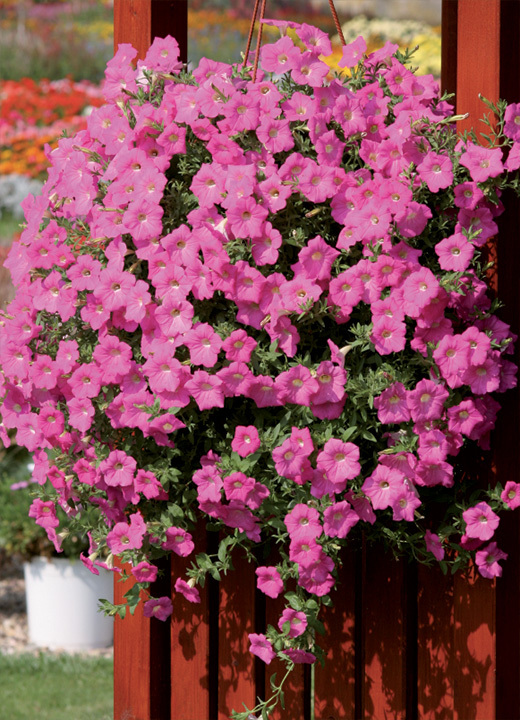 Overhang reaches a length of up to 80 cm. 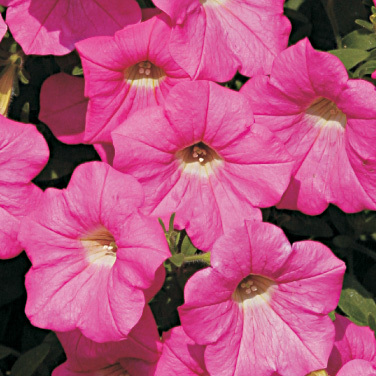 A time-proven and still very popular variety. 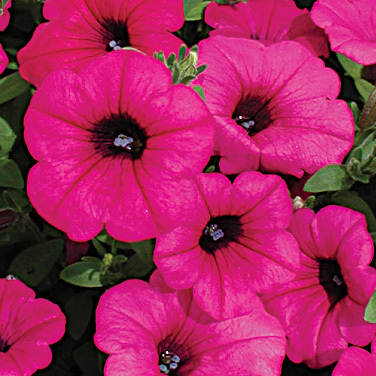 Intense violet-purple blossoms with a dark throat, size 5.5–6 cm, plants create a cascade reaching 100 cm. 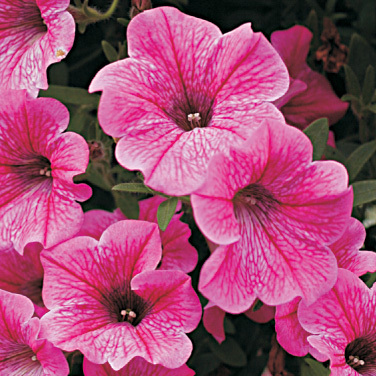 An attractive variety with interesting flowers in fine pastel shades of salmon, flower size is 7–8 cm. The spreading cascade can reach about 80 cm. Rose with rich rose veins, flower size is 5–5.5 cm. 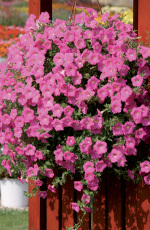 Plants are very well-branched and bloom freely during the whole growing season. 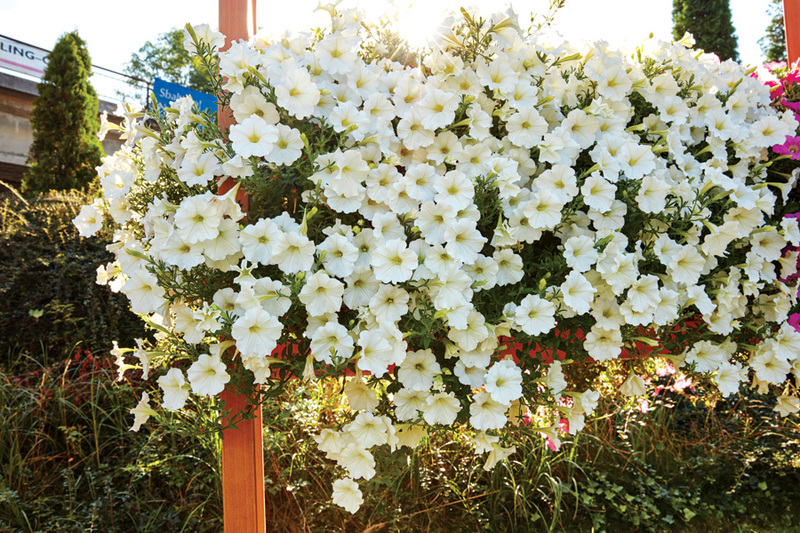 This variety creates an impressive spreading cascade of about 100 cm. 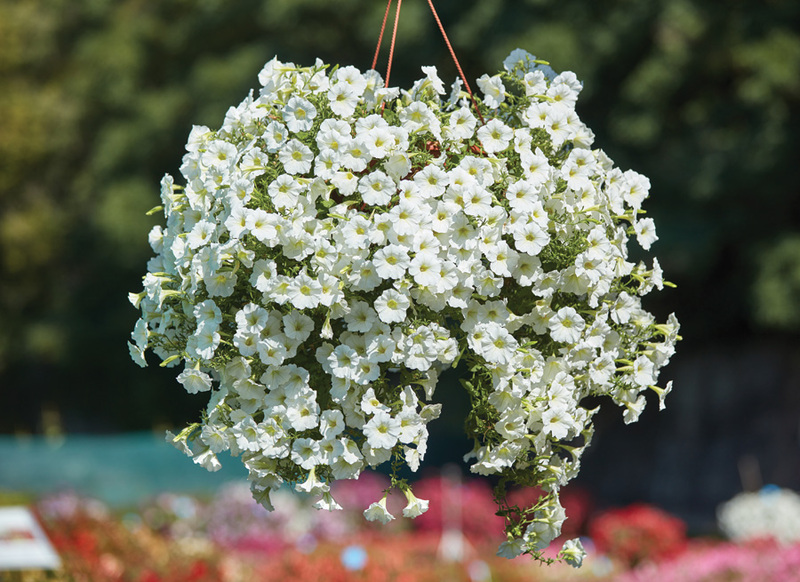 Ideal for hanging containers and window boxes. This supplements the F1 group with a new colour shade. The blossom is bright rose with a white throat. 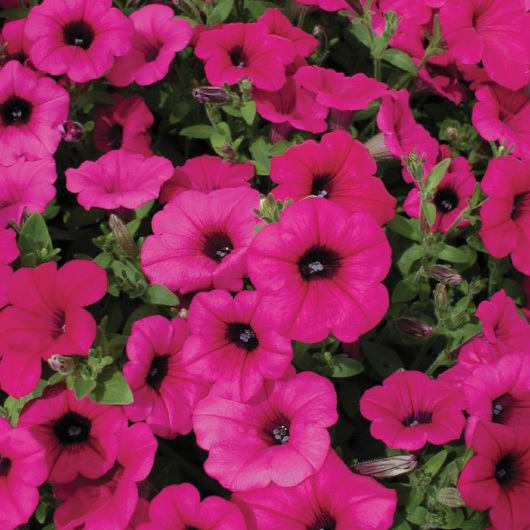 This colour contrast makes the variety even more attractive. Flower size is 6 to 7 cm. 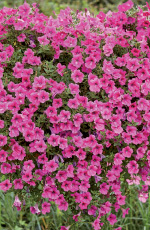 The plants are well-branched and bloom during the whole vegetation season. 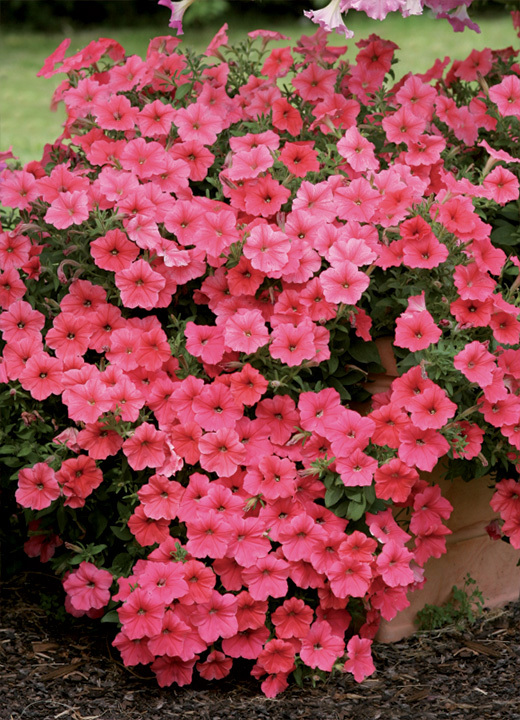 The variety creates an impressive cascade of about 80 cm.